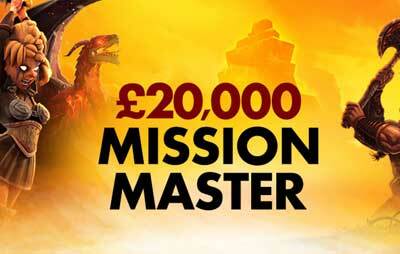 …is to play on selected slots and grab a bonus of up to £2,000! For the next few days, bet365 Vegas are running a promotion where your aim is to achieve specific missions in three selected slots games. The fewer spins it takes you to achieve your missions, the higher up the leader board you finish! The table below shows how the overall prize fund of £20,000 is divided out. The Mission only lasts until 4th June, so you’ll need to act fast!